This article has been tagged as Needing work due to its messy structure and lack of references. Il Trenino nel Pianeta Favola is an Italian children's film released in 1980 that was produced and distributed by URBS Film. 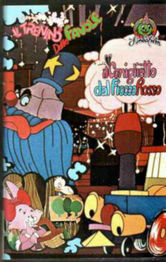 It was adapted from a 1978 television series aired on RAI titled Il Trenino (which is also lost). In 1985, Harmony Gold released an English dub of this movie titled The Little Train. 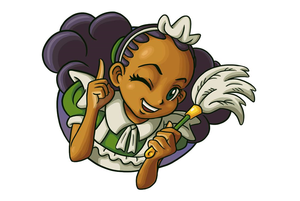 The dub was released on home video in the UK as part of the "Kids Cartoon Collection" and again as a standard release by MasterVision. The dub was supposedly also released in the US on VHS by J2 Communications according to a YouTube comment, but no scan of the tape exists. 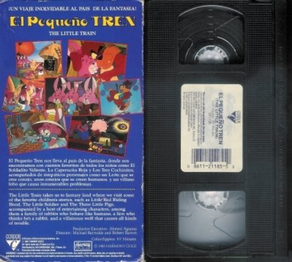 A Mexican Spanish dub titled El Pequeño Tren was released in the US on VHS. 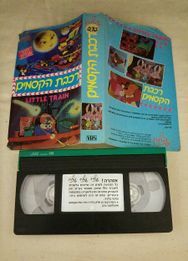 There also exists a Greek dub titled Μικρό μου τραίνο and a Hebrew dub titled רכבת הקסמים, both of which had VHS releases. A Finnish dub of this movie exists according to a YouTube comment, though its title is unknown and no known home media release exists. 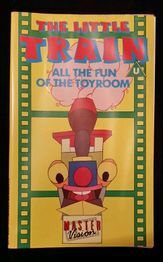 In addition, an Italian dubbed version of the English dub was released onto two VHS tapes titled Il Trenino delle Favole. A DVD of the original Italian dub supposedly exists, though again, no scan of it exists. On August 22, 2016, YouTube user John has uploaded the entirety of the English dub to YouTube (albeit with a portion missing that can be seen in an off-air clip of the Greek dub and in the Italian video below). On April 22, 2017, the first half of the Italian redub was uploaded to YouTube. A trailer for the Greek dub is also available. The first half of the Italian dub. The trailer for the Greek dub of the film. 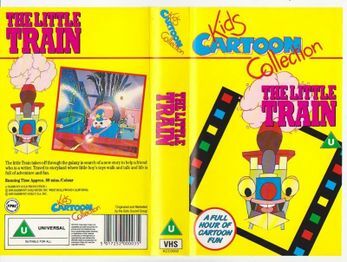 The cover of the UK "Kids Cartoon Collection" release. The front cover of the UK MasterVision release. The back cover of the UK MasterVision release. The front cover of the Mexican Spanish release. The back cover and tape of the Mexican Spanish release. 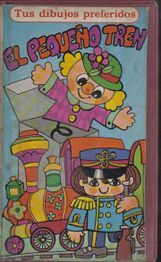 The front cover of another version of the Mexican Spanish release. The cover and tape of the Hebrew release. The cover of the Greek VHS Tape release. 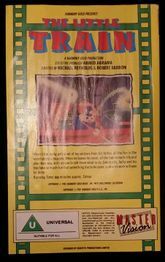 The cover of the first VHS release of the Italian redub. 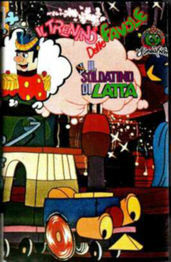 The cover of the second VHS release of the Italian redub.